Among the random cars on the internet I know nothing about, this surely ranks as the most intriguing. A giant sidepipe? A roll cage fit for Ellen Ripley’s exosuit cargo-loader? Oh yes. 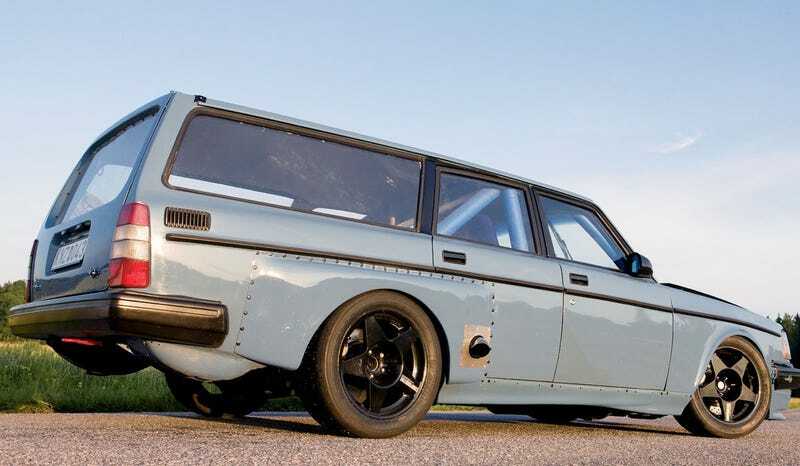 Volvos may be grandfathers’ cars, in which case I’d have to procreate then convince my offspring not to delay procreation into their 30s before I could reasonably own one, but this car may be worth the slight wait. Never has gunmetal gray removed from a battleship looked this awesome. And that panel bolted right across the rear door? What lurks there? Let’s hope it’s not rust but a giant American crate engine mounted amidships.